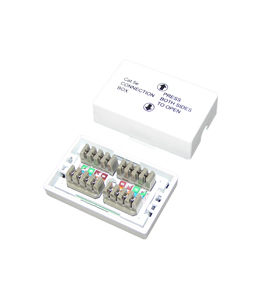 Fully compliant with Category 5e standard requirements for a consolidation point. Quick release lid. Robust outer casing. Patented cable retention clip. Supplied with fixing screws and adhesive pad for optional mounting. IDC's - industry standard 'Krone LSA+’ type.